Shady companies sending fake invoices and are unfortunately an increasingly common problem today. 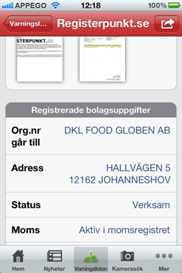 Bluffkoll offers Swedish companies the upper hand in the struggle with these invoice scams. 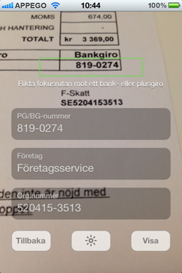 By scanning your invoices using the device's camera, this app quickly lets you know if the company demanding your money is trust worthy or not. It also lets you take an active part in the struggle against the bad guys by letting you post a warning right there in your phone. Also, push notifications keep you up to date with any new swindlers that have been identified. This app gives you the most extensive collection of information on shady companies and an easy way to keep them from ripping you off.